The Conference of the Parties (COP), which is the “supreme body” of the United Nations Framework Convention on Climate Change (UNFCCC) meets annually. Countries that have joined the UNFCCC are referred to as “Parties to the Convention”. The meetings held between each COP are known as Intersessional meetings. Below is a timeline of Conferences of the Parties (COPs) since COP 13 in 2007, which marked the start of a new negotiating process and set out guidance and direction to enhance international climate change cooperation. The 13th session of the UN Climate Change Conference was held in Bali, Indonesia in 2007. 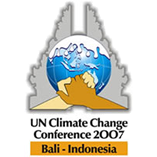 The thirteenth session of the UN Climate Change Conference in 2007 was held in Bali, Indonesia from 3 – 15 December, 2007. The conference culminated in outcomes in a wide-range of areas including decisions on adaptation, reducing emission from deforestation and degradation and technology transfer. However, the main focus of the conference was on long-term cooperation post-2012 when the first commitment period of the Kyoto Protocol expires. A number of decisions were adopted at COP 13 under the Bali Road Map relating to the post-2012 period. Included in the Road Map is the Bali Action Plan (BAP), which charted the course for negotiations over the two years following COP 13 with the aim of developing a new climate change agreement by COP 15 in December 2009. In a decision, the COP recognised that deep cuts in emissions will be required to achieve the ultimate objective of the Convention. For this purpose, the COP established a twin-track negotiating process under two temporary subsidiary bodies. The Ad Hoc Working Group on Long-term Cooperative Action under the Convention (AWG-LCA) was formed to enable the effective implementation of the Convention through long-term cooperative action up to and beyond 2012. The AWG-LCA has a mandate to focus on key elements of long-term cooperation including mitigation, adaptation, finance and technology transfer. It was planned that this body would present the outcome of its work to the COP for its adaptation at its fifteenth session in Copenhagen. The second temporary subsidiary body, the Ad Hoc Working Group on Further Commitments for Annex I Parties under the Kyoto Protocol (AWG-KP) was also established. Its aim was to negotiate binding post 2012 emission targets for developed countries (except the United States, which is not a party to the Kyoto Protocol). In 2008, the United Nations Climate Change Conference took place in Poznan, Poland from 1 – 12 December, 2008. 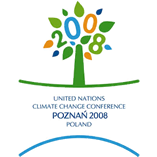 In 2008, the United Nations Climate Change Conference took place in Poznan, Poland from 1 – 12 December, 2008. It concluded with a commitment to shape an effective international response to climate change to be agreed at COP 15 in Copenhagen at the end of 2009. Governments completed work on the Kyoto Protocol’s Adaptation Fund to help developing countries cope with the impacts of climate change. Several decisions were adopted to make the Fund operational. Parties agreed that the Adaptation Fund Board should have legal capacity to grant direct access to developing countries. Progress was also made on the issues of technology transfer, Clean Development Mechanisms (CDM), reducing emissions from deforestation and forest degradation (REDD) and disaster management. The main focus in Poznan was on long-term cooperation and the post-2012 period when the first commitment period of the Kyoto Protocol expires. While no significant breakthroughs were reached, Parties agreed that the first draft of a concrete negotiating text of an international response to climate change would be available at the UNFCCC meeting at Bonn in June 2009. An important event at the conference was a ministerial round table on a shared vision on long-term cooperative action on climate change. This laid the foundation for further work on the elements of an agreement for discussion at COP 15 in Copenhagen. 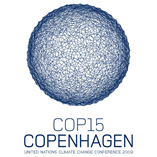 The 15th session of the UN Climate Change Conference was held in Copenhagen, Denmark in 2009. 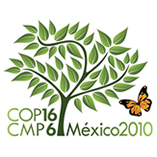 The 15th session of the COP was held in Copenhagen, Denmark from 7 – 18 December, 2009, and marked the culmination of a 2-year negotiating process which was launched at COP 13. Under the Bali Road Map, a framework for international climate change cooperation beyond 2012 was expected to be agreed at this session. However, a new climate change treaty was not reached and there was a failure to deliver on any strong commitments. Informal negotiations took place between a group of major economies and representatives of regional groups. A political agreement, the Copenhagen Accord, was drafted by a small group of countries including the United States, China, South Africa, India and Brazil and was not based on the texts which had been developed in both tracks of the negotiations. There was disagreement during the closing COP plenary meeting about the Accord and whether or not to adopt it because it hand been negotiating informally among a small group of countries. There was much discussion about the transparency of the process that had led to the drafting of the Accord as it did not involve all Parties. Parties agreed in the final COP decision to take note of the Copenhagen Accord but did not adopt it. The Accord was attached to the COP decision as an unofficial document and Parties agreed to establish a procedure whereby countries supporting it can accede to it. The Copenhagen Accord is not legally binding and does not contain any legally binding commitments for reducing CO2 emissions. The Accord recognises climate change as one of the “greatest challenges of our time” and emphasises “strong political will” to urgently combat it. It acknowledges that deep cuts in global emissions are required, as documented by the IPCC Fourth Assessment Report, with a view to reducing global emissions in order to limit the increase in global temperature to below 2 degrees Celsius. It provides that developed countries (Annex 1 Parties) would commit to “economy-wide” emission targets for 2020. The Accord includes a commitment by developed countries to provide up to US$30 billion from 2010 to 2012 in new and additional funding to help developing countries deal with climate change adaptation and mitigation. Developed countries also committed to increase that amount to US$100 billion a year by 2020. The Accord establishes the Green Climate Fund to operate the financial mechanism of the Convention to support projects, programmes, policies and other activities in developing countries. A mechanism was also established under the Accord to accelerate the transfer and development of technology to support climate change adaptation and mitigation. The Accord mentions the important role of reducing emissions from deforestation and degradation (REDD) and the need to provide incentives for such actions by mobilising financial resources from developed countries. COP 15 made a decision to extend the mandate of the Ad Hoc Working Group on Long-term cooperative Action under the Convention (AWG-LCA) to continue its work with a view to presenting the outcome to COP 16 for adoption. The 16th session of the UN Climate Change Conference was held in Cancun, Mexico in 2010. The Sixteenth Conference of the Parties (COP-16) of the UNFCCC took place in Cancun, Mexico, from 29 November – 10 December 2010. It formalised measures contained in the Copenhagen Accord and ended with the adoption of a package of decisions which are referred to as the Cancun Agreements. The Agreements provide a framework from which to develop a comprehensive international response to climate change and bring the key elements of the Copenhagen Accord under the UNFCCC. Parties agreed for the first time to maintain global temperatures increases below an average of two degrees Celsius. This is subject to review in 2015 and emission pledges of individual countries are included as an annex to the agreement. However, the pledges contained the Cancun Agreements are not legally binding, i.e. there is no obligation to act, and the pledges made do not match with the two degree Celsius target. The Agreements also establish a registry for Nationally Appropriate Mitigation Actions (NAMAs) by developing countries. NAMAs where countries require international support in the form of technology, finance or capacity building will be recorded in the registry, where the action and the support for that action can be matched. It was agreed that developing countries will also increase reporting of progress towards their mitigation objectives. At the conference, the mandate of the AWG-LCA was extended for one year to allow the AWG-LCA to continue its work with the aim of presenting the results to the COP 17. The AWG-KP outcome featured no set deadline for when the AWG-KP should complete its work. The Agreements contain decisions under both of the negotiating tracks and include provisions on adaptation, REDD+, technology, mitigation and finance. Progress was made in Cancun to deliver long-term financing for mitigation and adaptation under the Green Climate Fund which was established under the Copenhagen Accord. Under the Agreements, developed countries formalised a commitment to deliver US$100 billion annually by 2020 to help support developing countries which have been affected by climate change. There was also progress on fast-start finance. A mechanism was established to assess the needs and policies for the transfer of technologies for clean energy and adaptation to climate change to developing countries. The Agreements outlines the establishment of a Climate Technology Centre and Network to construct a global network to match technology suppliers with technology needs. Initiatives on the protection of tropical forests known as Reducing Emissions from Deforestation and Degradation (REDD) were advanced under the Cancun Agreements. Progress was made in establishing a programme in which wealthy countries can prevent deforestation in poorer countries, possibly working through market mechanisms. Under the deal, least developed countries will receive aid in return for the protection of their forests from burning or logging. 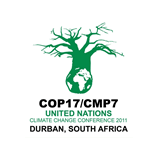 The 17th session of the UN Climate Change Conference was held in Durban, South Africa in 2011. The Seventeenth Conference of the Parties (COP17) of the UNFCCC took place in Durban, South Africa from 28 November – 11 December 2011. Among the decisions reached at the conference was the ‘Durban Platform for Enhanced Action’. Under the Durban Platform, Parties agreed to seek a universal legally binding agreement on climate change no later than 2015, allowing entry into force by 2020. Work on this will be under a new group called the Ad Hoc Working group on the Durban Platform for Enhanced Action. An important issue for developing countries is that a legally binding climate agreement will not hamper their right to development. This, coupled with concerns about equity, was India’s key concern in the closing stages of COP17. 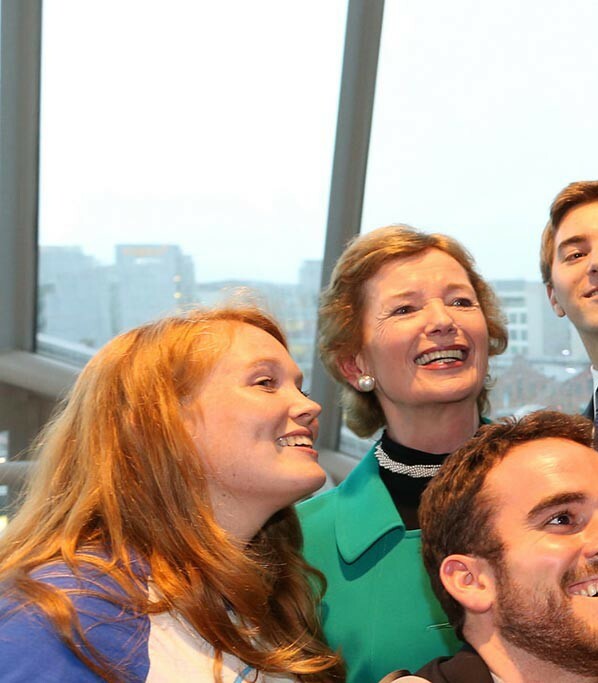 These key climate justice issues will be at the core of agreeing a comprehensive new agreement. A workshop will be organized under the AWG-LCA to consider the issue of equitable access to sustainable development at its next session. A second commitment period of the Kyoto Protocol was also agreed by 38 countries, which is set to begin on 1 January 2013 and end on either 31 December 2017 or 31 December 2020. Parties to this second commitment period will convert their economy-wide targets into quantified emission limitation and reduction objectives (QELROs) and submit them for review by 1 May 2012. Participation in the second commitment period is minimal and many countries that were part of the first commitment period are not taking part including Japan, Canada and Russia, while New Zealand and Australia are undecided. The text notes the emissions gap and reconfirms the long-term global goal of limiting warming to less than 2 degrees Celsius above pre-industrial levels. 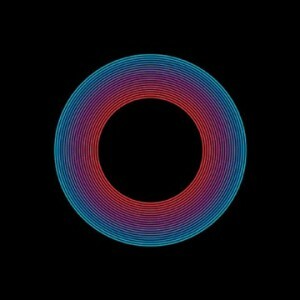 It also provides an option for strengthening the goal to 1.5 degrees. A framework for the reporting of emission reductions for both developed and developing countries was also agreed, taking into account the common but differentiated responsibilities of different countries. Negotiators tackled more than fifty related issues as part of the Durban Package. Many of these sought to operationalize decisions taken at COP16 in Cancun, Mexico. Climate finance was among the issues covered in these decisions. The Green Climate Fund (GCF) was operationalized and the COP approved the governing instrument of the GCF. However, there was no outcome on sources for long-term finance. There were a number of adaptation-related decisions which supported the implementation of the Cancun Adaptation Framework. An Adaptation Committee, which was established in Cancun, was operationalized at COP17 through agreement on its membership, authorities and modes of work. The committee, made up of 16 members, will report to the COP through its subsidiary bodies. Parties agreed on a process to enable least developed countries (LDCs) to formulate and implement national adaptation plans (NAPs). Progress was made on the details of the Technology Mechanism that had been created at COP16 and it will become fully operational in 2012. The full terms of reference for the operational arm of the Mechanism – the Climate Technology Centre and Network – were agreed, along with a clear procedure to select a host country. COP 18 was set against the backdrop of Hurricane Sandy and Typhoon Bopha – it was hoped these examples of the devastating impact of climate change could provide the impetus for bold action. While never expected to be radical, it was hoped that COP18 would make some progress towards decisive action to combat climate change and safeguard the most vulnerable. Much of the work of this COP could be considered procedural in nature. However, the COP did succeed in finalising and closing down two work streams initiated in Bali in 2007 – the Ad hoc working group on the Kyoto Protocol (KP) and the Ad hoc working group on long term cooperative action (LCA). The Kyoto Protocol will now enter a second commitment period – albeit with too few countries participating – but it keeps the rules based system of the KP alive for 8 more years while Parties work on a successor. The closing of these work programmes will also free up valuable time to allow for work on the Durban platform (ADP) to deepen and intensify. While this COP may not have been the most ground-breaking, there are many elements that the Foundation and our colleagues around the world can be rightly proud of and there are others we are disappointed did not make the progress we were hoping for. The empowerment of vulnerable people, and in particular women, is something that we have been working hard to promote. This COP will be defined in the future as the ‘Gender COP’, with the first ever ‘Gender Day’ raising awareness of the millions of men and women who struggle to overcome the challenges of climate change every day. A new decision was reached, after much discussion, to strengthen women’s representation and participation in COP proceedings and moves us closer to the goal of Gender Equality. This decision adopts the goal of gender balance and to ensure that ‘gender and climate change’ will be a standing item on the agenda at future COPs. The manner, in which this decision was reached, shows that parties can reach ground breaking decisions when they engage with common purpose and willingness to compromise. Significant progress on Loss and Damage was also made, with decisions giving legal recognition to the issues and acknowledging the need to enhance ‘action and support, including finance, technology and capacity-building, to address loss and damage associated with the adverse effects of climate change’. However, with no clear commitments on issues such as Agriculture and Finance there is still much work to be done. There was disappointment amongst developing countries that commitments for climate finance between now and 2020 remain vague. The work programme for long term finance has been extended for another year – with much work to be done to identify predictable and adequate sources of finance to honour the commitments made in Copenhagen. Failure to do so will further erode the fragile trust between developed and developing nations. This COP is a very small step in the right direction, however, large steps are required if our 2015 goal is to be a reality. Negotiators need to be freed to do more than studiously negotiate their way through policy briefs, agenda items, and roundtable discussions. We need Parties to take bold and decisive action that will make real and lasting change to the lives of those most affected by the extreme changes in weather patterns that climate changes brings. Our role in preparing for the next COP in Warsaw starts now. Civil society around the world needs to activate strong constituencies of demand and mobilise a new movement founded on a people-centred and justice narrative that calls for urgent and ambitious action. Without this demand, the political will so lacking in Doha will continue to be absent at COP19. This is our collective responsibility, to make climate change a priority and to create the momentum for a new agreement in 2015. The 19th session of the UN Climate Change Conference was held in Warsaw, Poland in 2013. The Nineteenth Conference of the Parties (COP19) opened in Warsaw, Poland on 11 November 2013 with three clear priority issues for the 195 countries represented: the elaboration of a timeline to secure a new international climate agreement at COP21 in Paris in 2015; the establishment of a mechanism on loss and damage; and the provision of long-term finance. The decision reached by the Ad Hoc Working Group on the Durban Platform for Enhanced Action (ADP) was one of the most contentious during the two weeks of negotiations. Further advancing the Durban Platform establishes the first quarter of 2015 as the deadline for new emissions reductions targets – ‘nationally determined contributions’ – for countries who are ‘ready to do so’. While the deadline is not binding, if reached, it will allow time to identify the gap between the initial collective offers and the emissions reductions needed to stay below 2° Celsius before a final agreement is concluded in Paris. Issues relating to the legal form of the 2015 agreement and the means by which commitments will be differentiated in an agreement applicable to all countries remain unresolved. Discussions at Warsaw on the ADP draft decision spilled over into an additional day and key differences re-emerged between developed countries who had called for a clearly defined timetable through to 2015 with all countries making clear ‘commitments’ and some developing countries who argued for greater flexibility for poorer nations and a clear differentiation between the level of commitments required by developed and developing countries. Compromise was reached with the replacement of the term ‘commitments’ with the weaker ‘contributions’ while there is flexibility in the timeline to accommodate countries not ready to outline their contributions by the first quarter of 2015. The devastation wreaked by Typhoon Haiyan on the Philippines just days before the opening of COP19 ensured that the establishment of a mechanism on loss and damage would be a critical issue at the Warsaw Conference. The Warsaw International Mechanism for Loss and Damage was established to address the loss and damage associated with the impacts of climate change, including extreme events and slow onset events, in developing countries that are particularly vulnerable to the adverse effects of climate change. It will enhance knowledge, action and support for loss and damage although much remains to be decided on how the mechanism will function and how it will be financed. A key issue in the negotiations on loss and damage was where to house the mechanism: the G77 and China, Least Developed Countries, and AOSIS called for a stand-alone pillar on loss and damage while the United States proposed that it sit under the adaptation pillar. Agreement was reached by placing the mechanism under the Cancun Adaptation Framework and scheduling a review of its structure, mandate and effectiveness at COP22 in 2016. The work programme on long-term finance agreed at COP19 does not deliver a clear timetable for mobilising the $100 billion per year by 2020 that developed countries promised in 2009. Developed countries have agreed to prepare statements once every two years on their updated strategies and approaches for scaling up climate finance from 2014 to 2020, including any available information on quantitative and qualitative elements of a pathway to reach the $100 billion target. A substantial share of public climate funds is to be channelled to adaptation activities, the majority of which will flow through the Green Climate Fund. 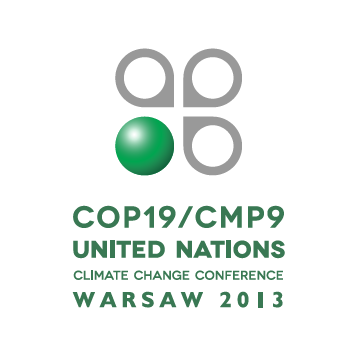 $100 million was raised at COP19 for the Adaptation Fund, fulfilling its short-term fundraising goal. Outside of these major decisions, progress was made in a number of other key areas. Countries have finalised the remaining details of the Measurement, Reporting and Verification (MRV) framework which outlines the verification process for emissions reductions in both developed (International Assessment and Review(IAR)) and developing countries (International Consultation and Analysis (ICA)). The establishment of an effective, transparent and comparable verification system will be important as countries prepare to make commitments for the post-2020 period. Significant steps were also taken towards the meaningful implementation of the COP18 Gender Decision. An Annex to the conclusions adopted by the Subsidiary Body for Implementation contains proposals by Parties on ways to enhance gender balance in the UNFCCC process. The proposals include the launch of a framework on gender and climate change; the establishment of a timeline; capacity building for women delegates as well as for women and men negotiators and the introduction of monitoring systems to track gender sensitive climate policy. Finally, the completion of the REDD+ programme was regarded as one of the major successes of COP19. The Warsaw Framework for REDD+ was backed by pledges of $280 million in financing from the United States, Norway and the United Kingdom. The twentieth session of the Conference of the Parties and the tenth session of the Conference of the Parties serving as the meeting of the Parties to the Kyoto Protocol (UNFCCC COP 20/CMP 10) took place from 01 Dec – 12 Dec 2014. Peru hosted the Twentieth Conference of the Parties between the 1st and the 12th of December, 2014. Going into the conference, much attention was focused on progress under the Ad Hoc Working Group on the Durban Platform for Enhanced Action (ADP), the subsidiary body charged with a new climate agreement to be adopted at COP 21 in Paris in December 2015. In the run up to the Lima COP, Parties had begun working on a draft text for the Paris agreement. However, as negotiations got underway in Lima, the ADP was concentrated on finalising the process around the submission of Intended Nationally Determined Contributions (INDCs). The submission of INDCs, each Parties’ contribution towards achieving Article 2 of the Convention (“stabilization of greenhouse gas concentrations in the atmosphere at a level that would prevent dangerous anthropogenic interference with the climate system”), had been decided at COP 19 in Warsaw and were to be submitted “well in advance of COP 21 and by the first quarter of 2015 for those Parties ready to do so”. But despite the fast approaching deadline, many fundamental decisions yet had to be taken on the nature of INDCs. Parties had yet to decide whether the INDCs would cover mitigation contributions only, favoured by many developed country parties, or also include adaptation and financial provisions which many developing countries deemed to be essential. A decision was also to be taken on a review of INDCs before Paris, in order to measure the adequacy and equity of Parties contributions. Negotiations on the Lima Call for Climate Action text, the decision taken at the conclusion of the COP, were particularly tense. The co-chairs proposed a number of iterations of the decision text which were rejected by the Parties. An 11th hour intervention by COP President Manuel Pulgar-Vidal resulted in a text that was acceptable to Parties, though the general sense was that none of the Parties were particularly happy with the outcome. In the end the decision made a provision for a voluntary adaptation component within a Party’s INDC, though finance was not included. The decision precluded a review of the INDCs before the agreement in Paris, which was a setback for the overall ambition of the agreement. The draft text for the Paris agreement, which was annexed to the Lima decision, remained essentially unchanged throughout the COP negotiations. Parties agreed to intensify their work on the draft text with a view to having a final negotiation text ready for May, 2015. The 2nd work stream of the ADP, mandated to focus on pre-2020 ambition, continued in the shadow of discussion on the INDCs. Away from the ADP process, COP 20 saw the initiation of the Lima work programme on gender, a two year work programme to advance gender balance, promote gender sensitivity in developing and implementing climate policy and achieve gender-responsive climate policy in all relevant activities under the Convention. While the discussion around climate finance was handed a boost prior to COP 20 with the US$10.2 billion capitalisation of the Green Climate Fund, developing countries were disappointed by the lack of progress on assurances around long-term, predictable financing and the scaling up of climate finance to US$100 billion annually by 2020. Climate finance will continue to be central to building trust within the process – more than simply a politically negotiated number, it is a signal of a willingness on the part of industrialised countries to engage with the challenges faced by developing countries. Finally, the Parties approved an initial two year workplan of the Executive Committee of the Warsaw International Mechanism for Loss and Damage. It remains to be seen whether loss and damage is included in the new agreement. For many developing countries, and particularly the Least Developed Countries and Small Island Developing States, it is important that the agreement effectively and progressively addresses issues of loss and damage. However, it is likely that many developed country Parties will resist the inclusion of loss and damage in the agreement, preferring to deal with it separately under the Warsaw International Mechanism. Unfortunately, COP 20 in Lima did not manage to maintain the sense of momentum built by the significant political announcements made in the months before hand. The capitalisation of the Green Climate Fund and announcements of emissions targets by the US, EU and China prior to the conference seemed to point towards a growing trust between the Parties. Once negotiations began in earnest, however, traditional divides were apparent. There is still much work to be done in 2015 to arrive at an ambitious, fair and legally binding climate agreement in Paris. Recognising this, the Peruvian presidency of COP 20 and the incoming French presidency of COP 21 joined forces to launch the Lima-Paris Action Agenda, which is dedicated to catalysing and scaling up increased climate action on the ground in order to advance sustainable development that will reduce poverty, promote economic prosperity and greater social well-being. The twenty-first session of the Conference of the Parties and the eleventh session of the Conference of the Parties serving as the meeting of the Parties to the Kyoto Protocol (UNFCCC COP 21/CMP 11) took place from 30 November – 12 Dec 2015. 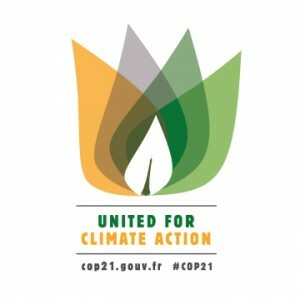 France played host to COP 21 between November 30th and December 12th 2015. As the world looked on to see if COP 21 could succeed where COP 15 came up short, negotiators in Paris worked day and night to conclude a new global climate agreement. The importance of COP 21 was evidenced by the unprecedented engagement of non-Government actors. Civil society organisations, business leaders, faith groups and others who came out in force to call for an ambitious, fair and legally agreement to limit warming and set a course for a safer future for all. The Ad Hoc Working Group on the Durban Platform for Enhanced Action (ADP), the body charged with negotiating the new agreement text, opened a day early, on Sunday, 29 November, in order to launch technical negotiations and concluded their work on Saturday, 5 December, passing the remaining negotiations over to the COP. The Comité de Paris was established under the COP 21 Presidency to continue work on the draft agreement and decision text. Minister-led indabas, bilaterals and other consultations took place under the Comité de Paris from Sunday through Saturday, 6-12 December. Following intensive consultations by the COP 21 Presidency on Thursday and Friday, 10-11 December, the Comité de Paris convened briefly on Saturday morning, 12 December, for the presentation of the final text. At 7.29pm that evening, after a final round of negotiations with groups of Parties, COP 21 adopted the Paris Agreement amid scenes of great celebrations in Le Bourget Conference Centre. The agreement established a global goal to keep global temperature rise below 2oC and closer to 1.5oC. 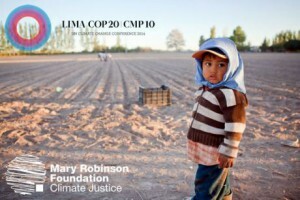 It advanced recognition climate change as a social, as well as economic and environmental issue through the inclusion of provisions on the need to respect and promote human rights, the rights of indigenous peoples, gender equality, women’s empowerment and intergenerational equity to achieve a just transition. The agreement at its inception contains national commitments (Nationally Determined Contributions or NDCs) that are not commensurate with keeping warming below the global target. However provisions exist for countries to increase ambition periodically. The agreement can be viewed as a framework around which future climate action will be built. It has established the Ad hoc Working Group on the Paris Agreement (APA) to deal with any shortcomings that remain and negotiate finer details of the implementation. The agreement will enter into force 30 days after 55 countries, representing at least 55% of emissions ratify the agreement and the subsequent Conference of the Parties will serve as the first Meeting of the Parties to the Paris Agreement.